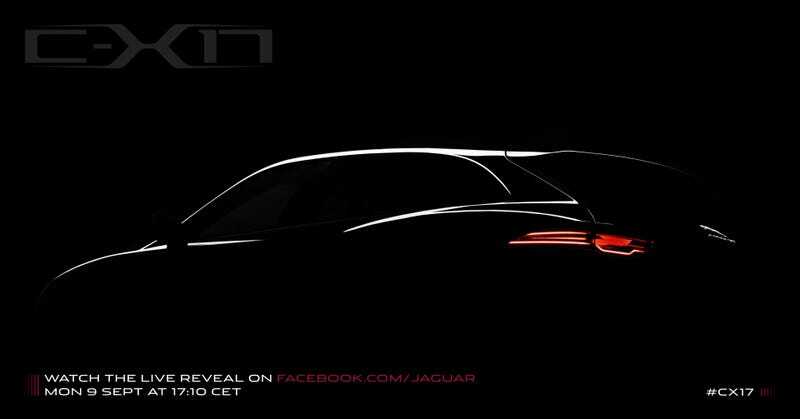 Jaguar C-X17: Should Jaguar Build An SUV? The Frankfurt Motor Show starts next week, and with Audi alone having 28 cars on a 24,756 sq-ft display, I expect a very strong German presence. But the British will be worth a look too, with Caterham showing off their new entry-level prototype, and Jaguar teasing already with the mysterious C-X17 crossover/wagon concept. Not much to know, really, apart from that you will see it on Facebook before I do at the show. This car will introduce Jaguar’s new modular aluminium architecture by showing the diversity of vehicles that could be produced with it. A peek into Jaguar's future. JUST BUILD THE DAMN THING!! !